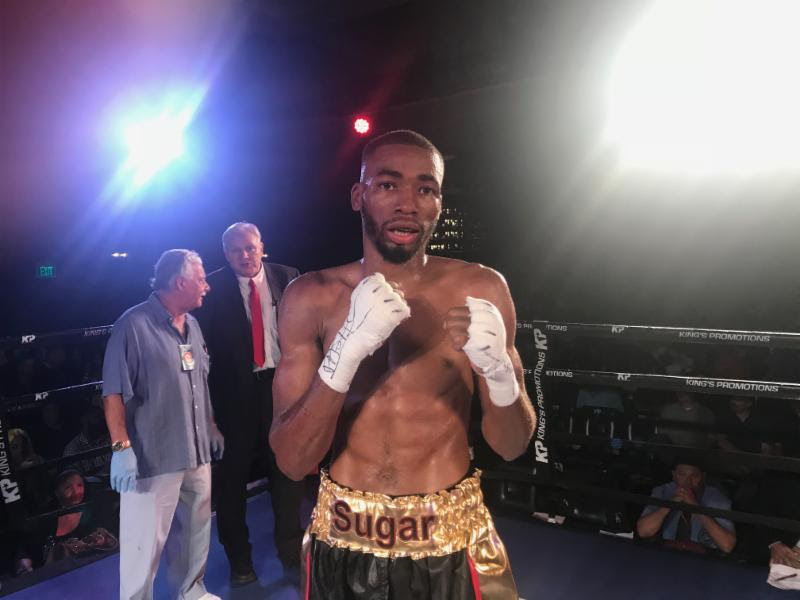 This past Friday night, Tyrone Crawley, Jr. and Ricardo Garcia fought to an eight-round majority draw before a capacity crowd at SugarHouse Casino in a junior welterweight bout. The fantastic nine-bout show was promoted by King’s Promotions. It seemed that Garcia was leading the action by landing combinations on the ropes. Crawley tried to keep the fight at the center of the ring by trying to lead with his left and flicking out the jab. 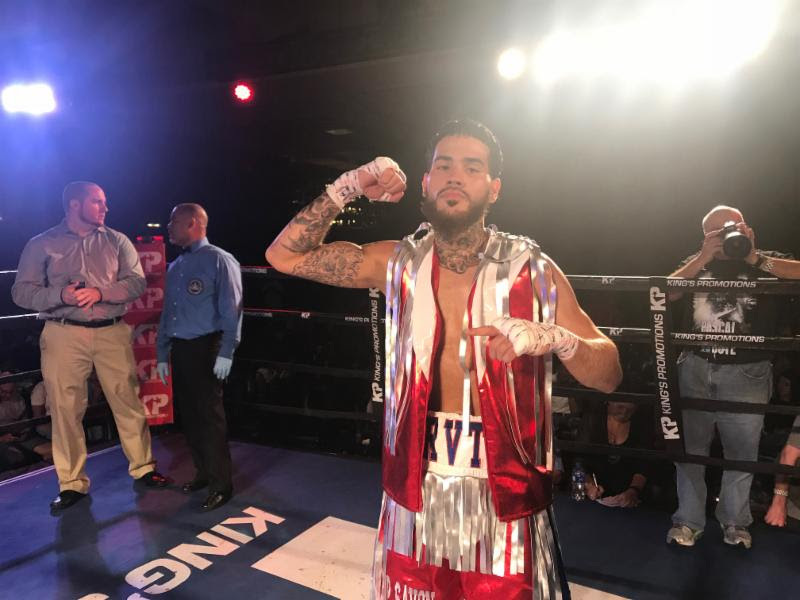 Garcia dictated the action, but the judges did not see it that way as two of the voters saw the fight even at 76-76 and a 3rd judge had it 79-73 for Garcia. Garcia, 140.7 lbs of Dominican Republic is 14-3-1. Crawley, Jr., 138.5 lbs of Philadelphia, PA 7-1-1. Eric Moon won an eight-round unanimous decision over Christopher Brooker in a super middleweight bout. Moon used quick combination that scored well over the second half of the fight that swelled the left eye of Brooker. Moon, 167.9 lbs of Marieta, GA won by scores of 78-74 and 77-75 twice to raise his record to 8-1. Brooker, 169 lbs of Philadelphia is now 13-6. 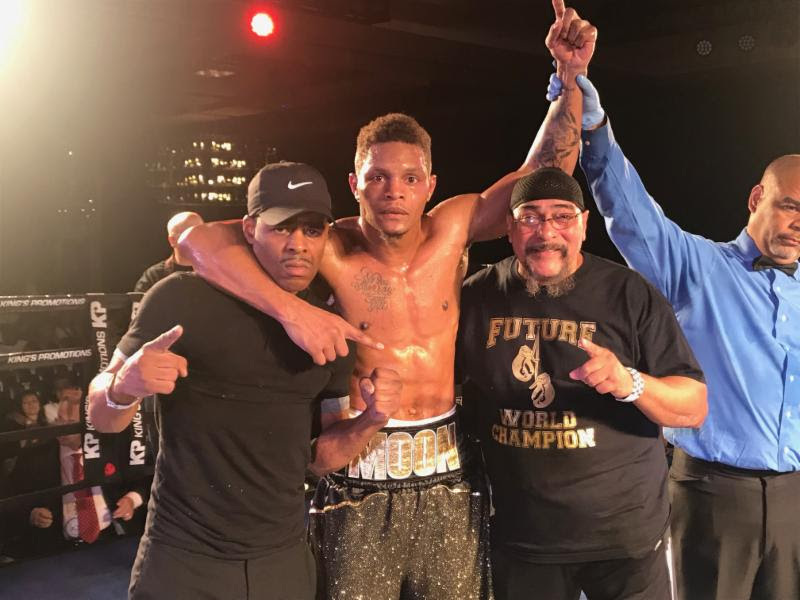 Poindexter Knight remained undefeated by winning a six-round unanimous decision over Gregory Averil Young in a welterweight bout. Knight was in control of the bout and then in round five with a powerful right hook. Knight landed several more hard shots, but was unable to finish him,. Knight, 149.9 lbs of Philadelphia won on all cards by 60-53 tallies, and is now 5-0. Young, 147.4 lbs of Hoover, AL is 4-1. Joshafat Ortiz stopped Javier Oquendo in round three of their scheduled six-round super featherweight bout featuring undefeated fighters. It was a fast paced bout until Ortiz decked Oquendo with a perfect right hand. Oquendo was hurt, and Ortiz jumped on him, and after a hard flurry, the bout was stopped at 2:06. Ortiz, 128.6 lbs of Reading, PA is 5-0 with three knockouts. Oquendo, 128.8 lbs of Philadelphia is 3-1. 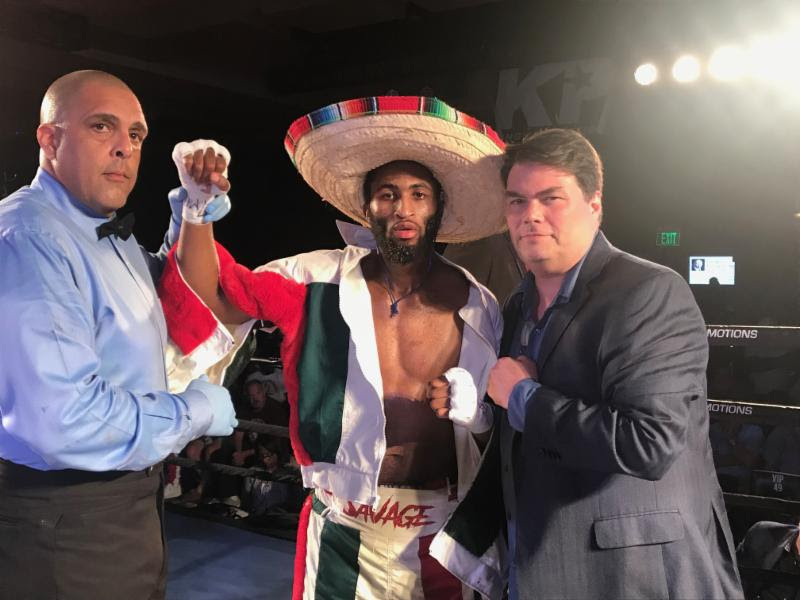 Rasheed Johnson won a six-round unanimous decision over Tony Morris in a welterweight bout. Morris was cut badly over his left eye in round three from a clash of heads, while Johnson was also cut but not as much. Johnson, 145.5 lbs of Philadelphia won by scores of 60-54 on all cards, and is now 4-2. Morris, 149.4 lbs of Jacksonville, FL is 4-2-1. 2016 U.S. Olympic Trials champion Paul Kroll made a successful pro debut by stopping DeAngelo Alcorn in the 1st round of their scheduled four-round welterweight bout. Kroll scored one knockdown from a hard overhand right, and the bout was stopped at 2:33. Kroll, 151.5 lbs of Philadelphia is 1-0 with 1 knockout. Alcorn, 150.8 lbs of Searcy, AR is 0-2. 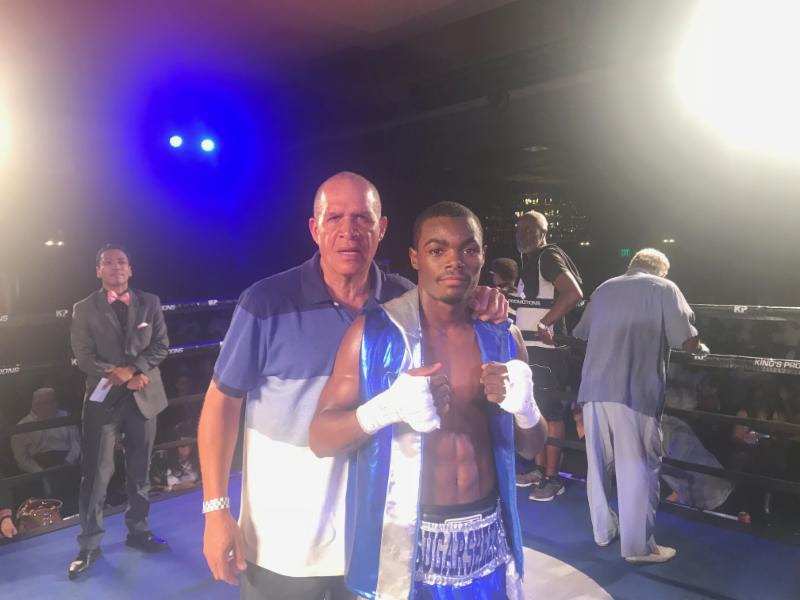 Rasheen Brown looked sharp in his pro debut by winning a four-round unanimous decision over Bryann Perez in a super bantamweight bout. Brown, 122.9 lbs of Philadelphia won by scores of 40-36 twice, and 39-37, and is now 1-0. Perez, 127.1 lbs from Dallas, TX is 2-11. In a nice back and forth brawl, Nicoy Clarke won a majority decision over Jose Nunez in a heavyweight bout that was filled with action. The fought hard on the inside throughout the bout, but Clarke landed the harder punches. In round two, Nunez began to bleed from his nose. Clarke, 209.4 lbs of Jersey City, NJ won by scores of 40-36, 39-37 and 38-38, and is now 2-1. Nunez, 216.2 lbs of Reading, PA was making his pro debut.